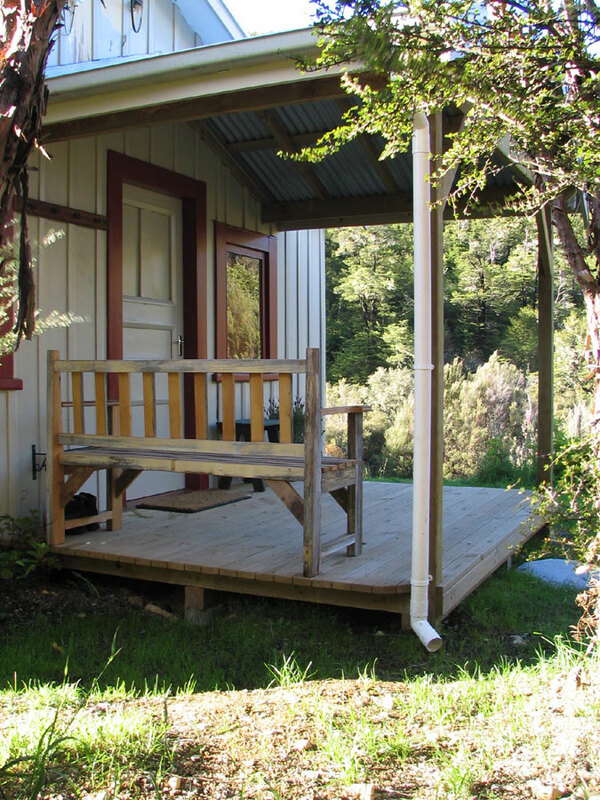 The guest lodge and accommodation is spacious, comfortable and modern. Enjoy sun-filled days – replete with cool breezes – and roaring fires in the evening. 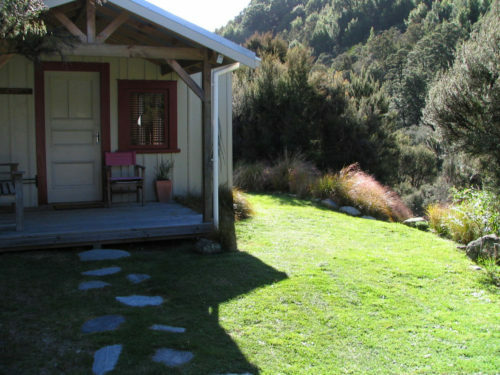 Take in the best New Zealand’s South Island has to offer from within your lodge and cottage, which is well appointed and feels like a home – not a hotel. 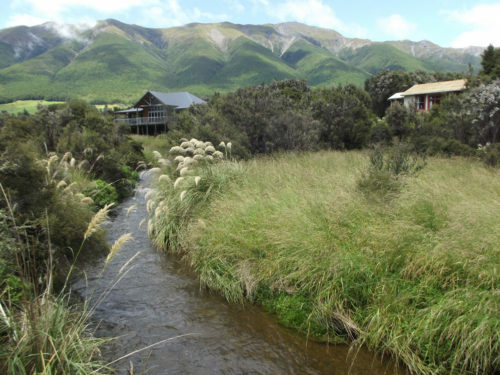 Each lodge sits on a river terrace above Black Valley Stream, surrounded by native bush and framed by mountains. The self-contained, recently refurbished fishing cottage (known as Blechynden Bach) sits adjacent to the lodge on a very private section – you can hear the sound of the stream bubbling and birds calling. The cottage accommodation consists of one king bed and one fold out double bed (if required). The cottage is fully contained with modern kitchen and bathroom as well an open fire. 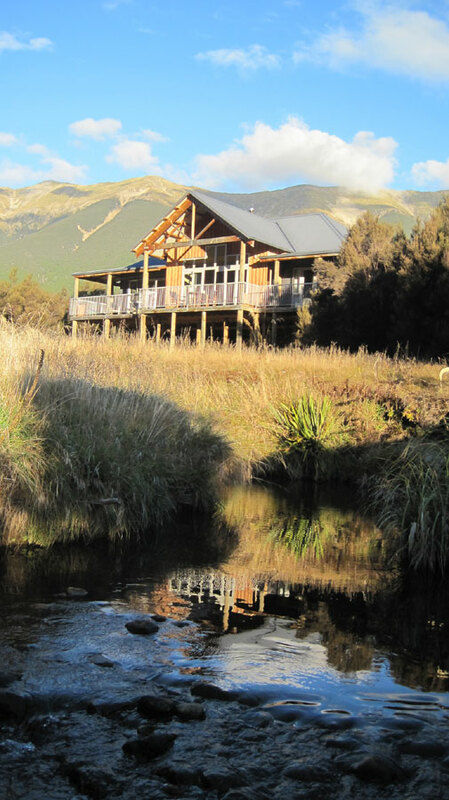 After a days fishing you can enjoy a glass of Sauvignon Blanc on the main deck of the lodge while watching the evening rise on the stream. Because we are small, all needs and wishes can be catered for. 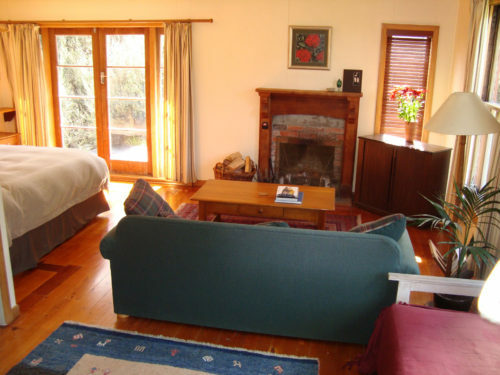 You can choose from an independent self-catered stay in the fishing cottage – a restaurant and café are only a few minutes walk away – to a fully catered stay at the lodge. Want more details? Visit the Contact Us page for details.